The Toyota Tacoma is the perfect truck for people in Texas who want the capabilities of a pickup truck but without sacrificing on maneuverability or the ability to fit into a parking space. With six models to choose from, you will find numerous configurations, including those that emphasize off-roading or luxury, as well as those that aim to provide pickup truck capabilities on a budget by limiting extra features. The Toyota name means that the Tacoma is truck that will last you a long time, making it an excellent investment for your future. The interior of the Toyota Tacoma has available luxuries features like leather-trimmed seats, a multi-information display, and dual-zone automatic climate control. You can even add a moonroof to let in some sunshine or fresh air from the outside. The Tacoma is always bold and easy on the eyes because of features like the large truck bed and attachments that make it easy to keep your cargo in place. On certain trims, features like Crawl Control and Multi-terrain Select let you conquer uneven and rocky terrain with ease. What’s New on the 2019 Toyota Tacoma? The 2019 Toyota Tacoma is offered in six distinct trim levels: SR, SR5, TRD Sport, TRD Off-Road, Limited, and TRD Pro. For those seeking a truck that’s more than capable and offers a wide array of technology, comfort, and safety features, you’ll enjoy the 2019 Tacoma. Some of the technology features you’ll enjoy include USB ports, a Qi wireless phone charging, a navigation system, a premium JBL audio system, a 7-inch touchscreen, Entune app suite, satellite radio, and *Bluetooth®. Some of the safety features include crawl control, LED fog lights, forward collision warning, automatic high beams, a sway monitoring system, LED daytime running lights, lane departure warning, an integrated backup camera, and much more. The TRD Pro is an excellent choice that combines plenty of the features you seek. With the TRD Pro, you receive a multi-terrain select option, Bilstein shocks, a unique front grille, hill start assist, crawl control, a pre-collision system with pedestrian detection, LED fog lights, trailer-sway control, cat-back exhaust, skid plates, cruise control, an electronically locking rear differential, Fox internal bypass shocks, and much more. No matter which trim you choose, you’re certain to receive a wealth of features with this outstanding truck! The Toyota Tacoma’s history in some ways dates all the way back to the 1964 Stout, which was Toyota’s first pickup sold in the American market. It was followed by the 1969 Hi-Lux, a compact truck that lasted through many generations in the United States. However, the Tacoma name did not arrive until the 1995 model year or the seventh generation of this pickup, which retained its name in other markets. When Toyota introduced the Tacoma, it had new sheet metal, suspension, and frame, as well as three new engines. Even the front suspension had been redesigned. The 4×2 models ran on a 142-horsepower 2.4-liter engine while the 4x4s had a 150-horsepower 2.7-liter engine, although a 190-horsepower 3.4-liter was available. Toyota introduced the PreRunner Xtracab model in 1998 with the tires and suspension of a 4×4 but a 4×2 drivetrain. It became available on regular cabs the following year. The StepSide model arrived in 2000 and then the 2001 Tacoma saw mild restyling, including a new grille in a trapezoidal shape and new dashboard with rotary ventilation controls. This was also the year that the S-Runner and Double Cab appeared. The next generation arrived as a 2005 Tacoma with a 2.7-liter 4-cylinder or 4.0-liter V6 engine, and a total of 18 configurations. Drivers love how capable the Tacoma is while still being easy to handle. 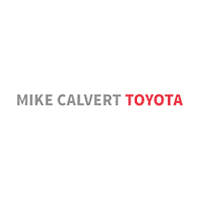 To get a look at a wide range of different new and used models, visit Mike Calvert Toyota in Houston, TX. Our trained professionals have experience helping people find the car that best suits their needs. We are happy to answer any of your questions and help you get acquainted with your favorite model. To learn more about our financing options and other services, call our offices or come see us today in Houston Texas, near Sugar Land!